THE OLD CONFIDENCE LODGE studio is truly one-of-a-kind. The lodge boasts environments that lend themselves to the creation of unique sounds . The multiple 2600 square foot floor plans, walls crafted in plaster and 1930s woodworking; velour drapes, tuned acoustic paneling and original hardwood floors all lend themselves to the unforgettable character of the building and sounds created within it. 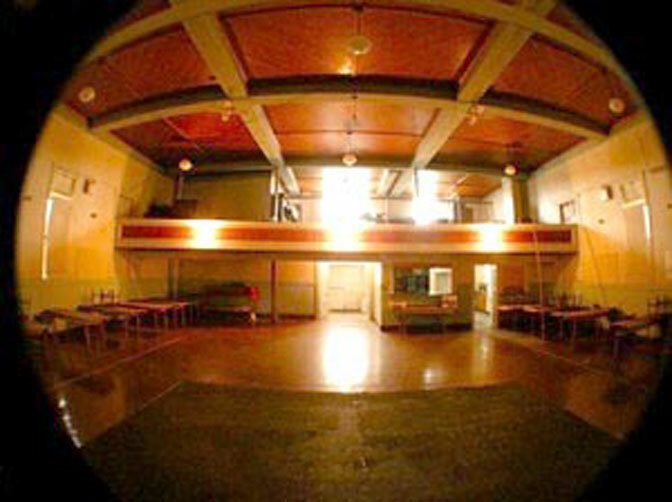 The lower level has a large traditional performance stage in a Theatre style room. This theatre can be configured in any way to suit your sound. Isolation spaces are a plenty, along with a Pretty cool Future-Retro Control room which has lots of nice new and good old equipment to optimize the flow with the future. Founded in 1754 and formerly a rumhaven during prohibition, the charm and personality of the past can still be felt. The Old Confidence Lodge retains that character and to an extent its historical use as a meeting place and venue. It's a place to record history. Here, at the Old Confidence Lodge, you will find an unforgettable experience.